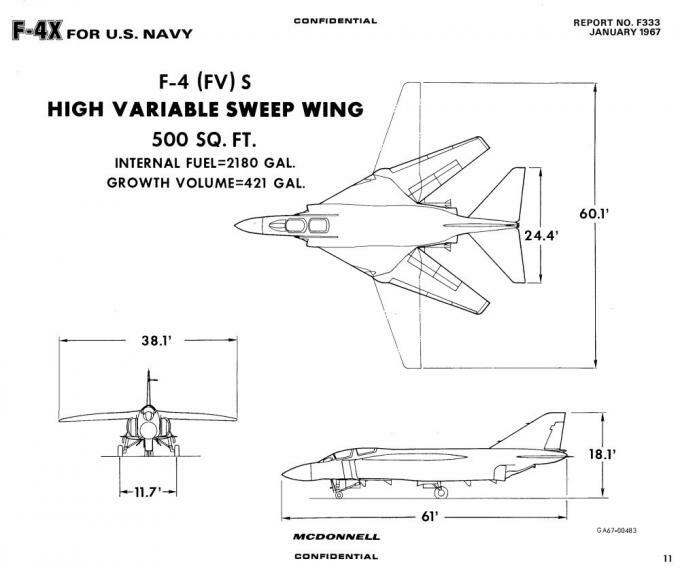 The US Navy’s F-111B project was looking distinctly shaky in the mid-1960s. It was too heavy and too sluggish, so the Navy looked around for alternatives, a search which would eventually led to the Grumman F-14 Tomcat. 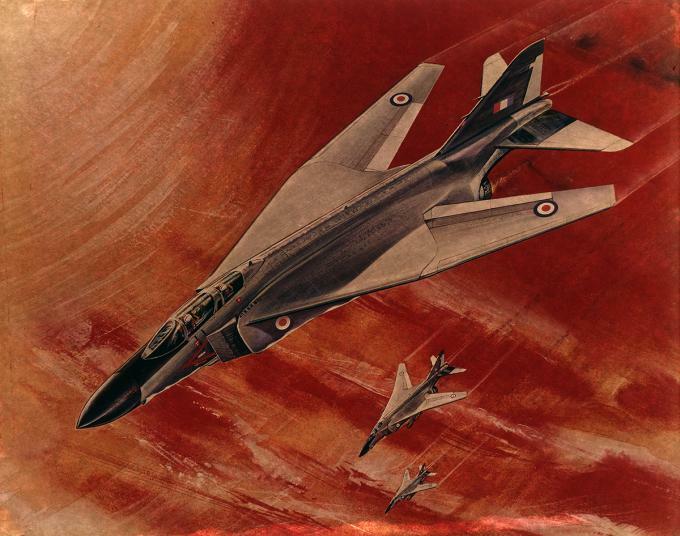 The McDonnell company offered an unsolicited solution, a variable geometry wing variant of the hugely successful F-4 Phantom II. An assessment of this proposal, given the provisional designation F-4 (FV)S, revealed that this it was lacking in several key areas, notably combat effectiveness: the AN / AWG-10 radar and AIM-7F missiles would be a significant downgrade from the desired AN /AWG-9/AIM-54 combination. Scorned by the Navy, McDonnell offered the aircraft to Britain as a cheaper alternative to the Anglo-French AFVG then under consideration. This aircraft would have been powered by the British Rolls-Royce RB-168-27R and given the designation F-4M (FVS). This promising project never left the drawing board. SAVE HUSH-KIT. Hush-Kit needs donations to continue, sadly we’re well behind our targets, please donate using the buttons at the top and bottom of this page. Many thanks. I really hope Hush-Kit can continue as it’s been a fascinating experience to research and write this ridiculously labour-intensive blog. Do we know why they went with a high wing instead of the already in place low? Yes we do: it is because the low wing was shadowing the empennage at high AoA. it’s the same problem with the F-104 and in both cases it results in uncontrolled pitch up position.